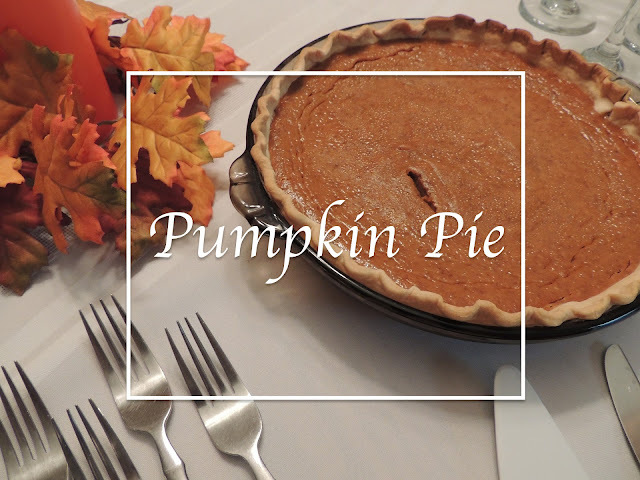 This pumpkin pie uses no sweetened condensed milk. And that's precisely the reason my mom started making it. She didn't have any on hand and she was in need of a pumpkin pie for Thanksgiving. It's my favorite pie with all the flavors rounding it out just right. Give it a try and let me know if you think it's as good as I do! Sift sugar, cornstarch, salt, cinnamon, ginger and nutmeg. Mix with pumpkin. Add eggs, melted butter, molasses and milk. Line pie pan with crust. Pour pumpkin mixture into raw pie crust. Bake at 450 degrees for 15 minutes. Reduce heat to 350 degrees and bake 50 minutes more. Remove from oven and let cool. Pumpkin pie is best served cool with a dollop of delicious, fresh whipped cream! *You can sub 1 3/4 cups cooked pumpkin, strained for best results, as canned pumpkin tends to be more dense than non-canned. Measure after straining.